Creeping fig has small, heart-shaped leaves that densely cover its long stems. 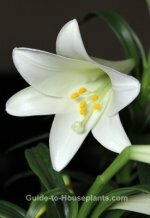 Its growing habits make it a versatile plant indoors. 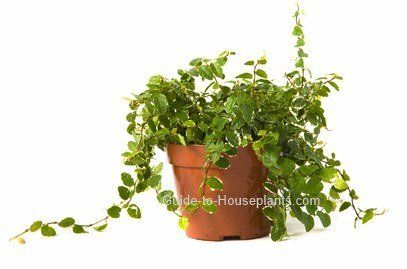 To show off its thickly leafed vines, put this trailing, climbing, creeping ficus plant in a hanging basket. Better yet, you can train its aerial roots to sink into a moss support, trellis or topiary. Tie it loosely to a support with florist's wire and this climbing fig will readily take hold. Want another option? 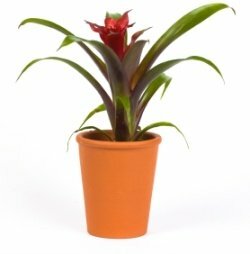 Plant it as a ground cover beneath a tall house plant and allow the stems to spill over the sides of the container. It makes a nice complement to Norfolk Island pine or a braided weeping fig (F. benjamina). Don't overwater. Water thoroughly when potting mix is dry 1 inch down. Reduce water in the winter when growth has slowed. Yellow leaves are a sign of over-watering. Prune it back. Creeping fig is fast-growing and needs some help from you to shape it or train it. Prune off new stems regularly to encourage branching and to shape them as they grow. Pruning up to one-third in spring will keep the plant compact. Repot in spring. This creeping ficus houseplant prefers to be slightly pot-bound. Repot every 3 years, moving to a pot 1 size larger or keep it in the same pot and just give it fresh potting mix. This creeping ficus houseplant is also known as Ficus repens. The variegated cultivars are the most popular. Ficus pumila 'Minima' has tiny leaves, making this humidity-loving plant an ideal addition to a terrarium. White-edged 'Snowflake' and 'Variegata' are just a couple heavily variegated ficus cultivars. Light: Bright light. Will tolerate low light, but not direct sun. Dry, shriveled leaves are caused by too much sun. Water: Keep soil lightly moist spring through fall. Water less in winter, allowing the top of the potting medium to dry out before watering again. Yellow leaves are a sign of over-watering. Humidity: Moderate to high. If relative humidity drops below 50% place the plant on a tray of wet pebbles or mist it daily with tepid water. Young plants can be kept in a Wardian case to hold in the humidity. Temperature: Will tolerate cool to warm temperatures (55-85°F/13-29°C). Fertilizer: Feed monthly spring through fall with a balanced liquid fertilizer diluted by half. Stop feeding in winter, when growth is slower because of lower light levels. Propagation: Take 3-4 inch stem tip cuttings in spring and root in perlite or fresh potting mix. Use rooting hormone powder to ensure the stems will quickly develop roots.